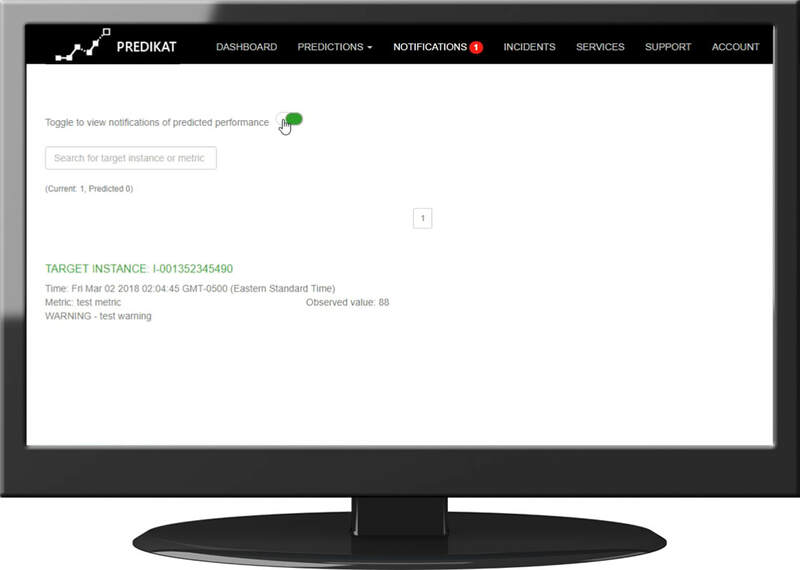 Predikat AIOps is predictive performance and maintenance for applications and infrastructure. A website doesn’t run at peak performance all the time. When it is not busy, it runs fast, but if it gets an influx of visitors, it can run slowly and leave visitors frustrated. Shopping carts get abandoned and potential customers flee the site for the one that runs faster and smoother. Don’t let that happen to your site. Predikat’s AIOps monitors your site, learns your traffic patterns and alerts you when you can expect heavy traffic flows so you can be prepared. It also tells you where problems with your site originate for quick and easy troubleshooting. The Problem: Unplanned downtime is a huge burden to your company in both cost and stress on your team. If you can’t predict when your site is going to see an influx of visitors, you won’t know when you need to beef up its performance. The Solution: Eliminate unplanned downtime with Predikat’s AIOps predictive analytics. Our AIOps monitors your site, learns your site’s usage patterns, accurately predicts when your site is going to see increased traffic and alerts you to the impending bump in traffic so you can be prepared. The Result: Never have to suffer through unplanned downtime again. The Problem: Your IT team can easily get bogged down looking through website logs trying to find the cause of a given problem on your website. The Solution: Predikat’s root cause analysis does away with this tedious task by checking the logs itself, which is much quicker and more efficient than having a person do it. Predikat’s AIOps can identify minor problems on your site or patterns of problems deep within the system. The Result: This saves you time and money and frees up your IT team so they can perform more important tasks. The Problem: Too many false alerts can overwhelm your team and cause frustration. 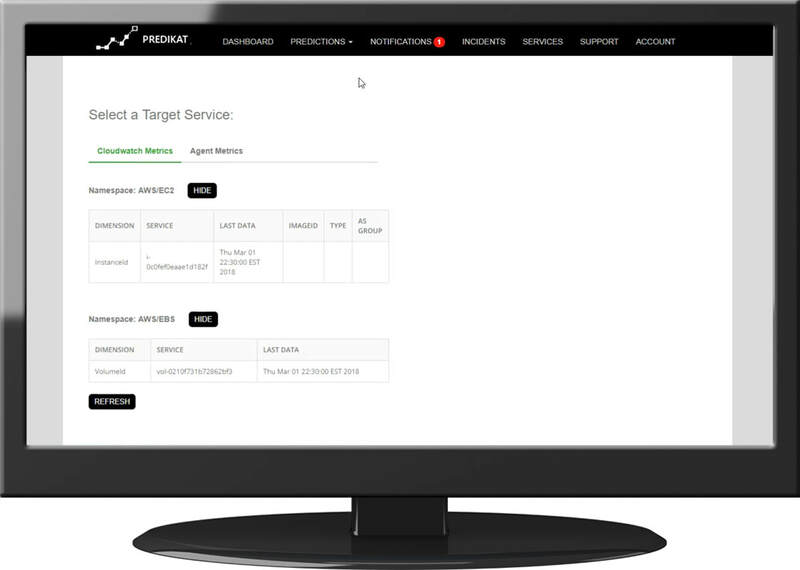 Each different group within your organization will have a different threshold for receiving alerts and none of them want to receive alerts that don’t pertain to them. The Solution: Predikat’s AIOps learns which alerts are important to each group and only sends each person the alerts they can use. The Result: This cuts down on false alerts and stress and ensures that people are seeing the alerts they need to take action on. Predikat Technologies helps online businesses thrive in the competitive world of e-commerce and web-based software. We do this with artificial intelligence that learns about our client's technology needs to keep their web applications running smoothly, and their users and customers happy. Our goal is to increase revenue and user loyalty for our clients, and we strive to meet that goal through innovation and a culture of fairness and integrity for all our clients and employees.